The Powell Law Group is a proud member of the Chesterfield Chamber of Commerce, and is excited to give high school students and new graduates an opportunity to join our team at the firm. Powell Law Group announces the opening of our satellite office in Arlington, Virginia. 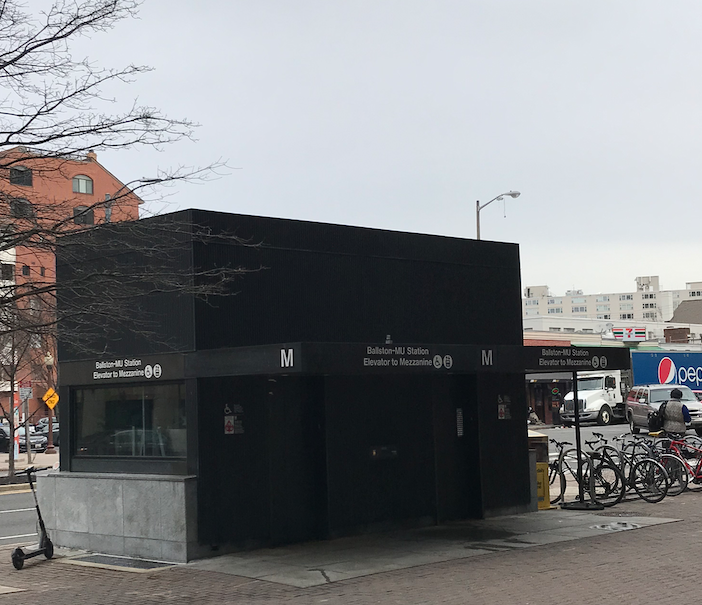 Located at 4250 Fairfax Drive, 22203, we look forward to further supporting our clients in Northern Virginia and Washington D.C. With a metro stop located outside the building, clients will have easy access by train from points in Maryland, Washington D.C. and Virginia, and will not have to worry about navigating the complicated streets of D.C.
Over the past three decades, Powell Law Group has provided representation to clients with catastrophic injuries all over the Commonwealth of Virginia and in Washington D.C. Opening an office in Northern Virginia offers a convenient location to meet with clients from that area of the state, as well as extend our reach to new clients with diverse backgrounds dealing with injuries from catastrophic accidents of all types (car accidents, motorcycle accidents, small and large machinery accidents, etc.). The Powell Law Group specializes in helping multi-cultural clients needing bi-lingual services, Spanish/English and French/ English. Powell Law Group was contracted to represent a severely injured driver who sustained a concussion, bruising to his arms and ribs, plus back and neck strain. Unconscious when removed from the vehicle and transported to a hospital for emergency care, our client looked for legal representation that would help him obtain money to cover his medical costs including: Chiropractic, Physical Therapy, and Orthopedic treatment. While the accident was the fault of an uninsured motorist, the Powell Law Group helped the client resolve the claim with his insurance company and put the trauma and stress behind him when the case was settled for $100,000. This weeks TED Talk is by Eric Liu in the spirit of today’s midterm elections in the Commonwealth of Virginia. Inspired by Liu’s talk about the importance of democracy, the Powell Law Group encourages you to exercise your civic duty and vote TODAY in Virginia’s Midterm Election. Voting has always been important, but in today’s culture and political landscape, its crucial. Make sure you get to the polls and cast your vote! You can verify your polling location, see which candidates are on the ballot, and look up voter resources on the Virginia Department of Elections website. Representing a client who sustained back, neck, and hip injuries after a car accident, Powell Law Group helped a personal injury car accident victim get justice. Our client was a passenger injured in a car that was struck by a driver who disregarded a traffic signal. For the pain that resulted from the car accident injuries, the client pursued treatment from physical therapists and chiropractors. Powell Law Group was able to settle this Personal Injury case for $40,000 after sharing with the defense the client’s pain and suffering, including the aforementioned injuries and ultimately a lack of focus at work. This weeks TED Talk Tuesday is brought to you by Edward Burtynsky a photographer dedicating his pieces to exposing humanity’s impact on the earth, and inspiring the conversation and movement towards sustainable living. Mr. Burtynsky has won multiple awards for his work, such as the 2016 Governor General’s Award in Arts and Media and the 2005 TED Prize. These images are meant as metaphors to the tragedy and the beauty of our modern existence, and it shows the dilemma at how the world is suffering at the hand of human successes. Wayne Powell is a passionate advocate for the environment as well. From investing in clean energy, reducing our dependence on oil, and reducing our carbon footprint, there is no end to the list of ways to adapt to sustainable living. If you live in Virginia, check out Virginia Energy Sense sponsored by the State Corporation Commission. Check out some Edward Burtynsky’s website for his projects, photography portfolio, films, and books. And if you or someone you love has been injured on the job, contact the Powell Law Group to learn how our experience in helping people get justice might be right for you. In this TED Talk Tuesday piece, we explore the complexity of our current times. Elif Shafak, a writer blending East and West, feminism and traditional, shares her perspective of today’s trend toward tribalism that pulls us apart and her hope for humanity’s ability to move towards multiplicity as the antidote and nuance as the connector. Noting her multicultural, multinational, complex experience self, Shafak shares her appreciation of storytelling and individual human rights, much like Wayne Powell. A white man born and raised in the south can quickly get a label and tossed into a tribe before opening their mouth. The same way a black man can be labeled as he walks across the street at night or a Latino-looking woman getting out of her car with many children might begin a story in one’s mind that assumes something about them. Sadly, research today shows social media drives tribalism and this “clash between two certainties” that Shafak speaks of is highlighted. She points out how we are being denied the right to be complex. And complex the Powell Law Group knows the world is. Wayne learned from his heritage, both good and bad, and crafted his future to treasure the nuance. His education steeped in learning multiple languages to better understand others, rooted in belief for our country, as well as helping other countries, and a burning passion to help the “common man” when life is at its most bleak, it’s the unique story of each client that keeps Wayne passionate about his legal practice of almost 40 years. Above we give you a glimpse of Elik Shafak’s literary works. They are all available on Amazon and worth checking out, if you enjoyed her TED Talk like we did. Also, if you or a loved one face a dark time due to an injury, you don’t have to feel alone no matter if your far from your “motherland” or in the same town you were born. From traumatic brain injuries to back problems and mental health, Powell Law Group understands the “what happened to you” for each client is going to be different and range from simple to complex, but we go into every case with the same goal: Make sure our clients are getting the best medical care possible and receive maximum compensation to live the best life possible for their unique personal situation. Case reviews are free and our experience in helping people find justice is vast. Diversity in companies. Yes, thankfully these days people are trying to be more thoughtful with their hiring strategy and team structure. But why? Just because “diversity” is a buzz word. NO. Because diversity matters. In this 2017 TED Talk by Rocío Lorenzo, a telecom and media company consultant for the current digital age, she walks us through the research of 171 companies that clearly outlines how a company can be more innovative through diversity. Bolstering up your company’s competitive advantage through more original ideas by attaining a richer diversity, now that’s a TED Talk you should have 11 minutes and six seconds for! Many leaders I met saw diversity as something to comply with out of political correctness, or, best case, the right thing to do, but not as a business priority. Our data shows that for gender diversity to have an impact on innovation, you need to have more than 20 percent women in leadership. My generation, your generation, represent the best-educated female generation in history, but we have failed to achieve leadership in significant numbers. Education just did not translate into leadership. Making or breaking the success of diversity in your business boils down to two things: Who to hire, and who to develop and promote. Wayne Powell believes in the innovative nature and ideas that a diverse team bring to his business. With native Spanish speakers, a predominantly female staff, and a broad range of ages, we embrace the diverse demographics that make up our staff. Check out Powell Law Group’s amazingly talented and experienced staff, both in life breadth and legal help. And just in case you need a visual reason to listen to this TED Talk, these slides are just a few of Lorenzo’s interesting findings. When Anne Milgram became the Attorney General of New Jersey in 2007, she was stunned to find out just how little data was available on who was being arrested, who was being charged, who was serving time in jails and prisons, and who was being released. Anne Milgram is focused on reforming the criminal justice system through smart data, analytics and technology. She is currently a Professor of Practice and Distinguished Scholar in Residence at New York University School of Law. Two thirds of the people in our jails are there waiting for trial. They haven't yet been convicted of a crime. They're just waiting for their day in court. And 67 percent of people come back. Our recidivism rate is amongst the highest in the world. Almost seven in 10 people who are released from prison will be rearrested in a constant cycle of crime and incarceration. Using data and analytics to help make the most critical decision in public safety: whether they pose a risk to public safety and should be detained, or don’t and should be released. This one decision impacts everything- sentencing, drug treatment, crime, violence. Anne explains current US arrest stats and the simple tool she and her team of data scientists and researchers and statisticians to build a universal risk assessment tool, so that every single judge in the United States of America can have an objective, scientific measure of risk. The Powell Law Group in Midlothian believes in the justice system and your rights. Working hard to bring justice to each of their personal injury and workers’ compensation clients, Wayne Powell and his team of lawyers, law clerks, paralegals and assistants are dedicated to continued education which they find echoed in this insightful Tuesday TED Talk series. Hope you enjoy them and learn something, too. If you or someone you love has been injured on the job or in an accident, please reach out to us. We provide free case reviews and decades of experience to get you what you deserve. In this TED talk, Eve Abrams talks about mass incarceration and discusses her research about convictions in the United States of innocent people based on faulty eyewitness testimony and without forensic evidence. Mrs. Abrams biggest piece of advice is to not just assume that your criminal justice system is working, but to take on the responsibility to question and challenge those assumptions for a just society. Recently, Wayne Powell has been involved in a case that included partnering with the Innocence Project at the University of Virginia School of Law. This client was convicted and sentenced to 40 years over a crime with no forensic evidence, no testimony from witnesses, and was referred the representation of a fraudulent attorney. Cases like these are why Wayne Powell is a dedicated member of the legal community, striving to represent justice in his community and in the Commonwealth of Virginia. Thanks for checking out our latest TED Talk Tuesday, a series of posts where Wayne Powell from the Powell Law Group in Virginia shares his favorite TED talks about the justice system, crime in America, democracy, the rule of law, and mass incarceration. TED is a nonprofit devoted to welcoming highly-trained professionals, educators, authors, researchers, and creative thinkers from every discipline and culture to spread innovative ideas to national and international conferences and lesson series. Welcome to our next TED Talk Tuesday, a series of posts where Wayne Powell from the Powell Law Group in Virginia shares his favorite TED talks about the justice system, crime in America, democracy, the rule of law, and mass incarceration. TED is a nonprofit devoted to welcoming highly-trained professionals, educators, authors, researchers, and creative thinkers from every discipline and culture to spread innovative ideas to national and international conferences and lesson series. In remembrance of the lives lost on this date 17 years ago, today’s TED Talk is a collaborative speech by Phyllis Rodriguez and Aicha el-Wafi at TEDWomen 2010. Phyllis Rodriguez and Aicha el-Wafi have a powerful friendship born of unthinkable loss. Rodriguez' son was killed in the World Trade Center attacks on September 11, 2001; el-Wafi's son Zacarias Moussaoui was convicted of a role in those attacks and is serving a life sentence. In hoping to find peace, these two moms have come to understand and respect one another. Their friendship has become a powerful symbol for forgiveness and their story has become a platform for the dialogue about national resilience. The 9/11 Memorial and Museum in New York City is a tribute of remembrance and honor to the 2,977 people killed in the terror attacks of September 11, 2001 at the World Trade Center site, near Shanksville, Pa., and at the Pentagon, as well as the six people killed in the World Trade Center bombing in February 1993. The National September 11 Memorial Museum serves as the country’s principal institution for examining the implications of the events of 9/11, documenting the impact of those events and exploring the continuing significance of September 11, 2001. Please visit their website for more information and donation page. We hope you've been enjoying our weekly Tuesday TED talks about the justice system, crime in America, democracy, the rule of law, and mass incarceration curated by Wayne Powell. In this talk, Salil Dudani discusses the problems created in our country by a bail-based jailing system. As an investigator with civil rights lawyers, Dudani reflects in his experience with racial profiling, debtors prisons, and how the justice system disproportionately affects poor and marginalized communities. Salil Dudani works as a legal activist for Civil Rights Corps, a nonprofit dedicated to researching and representing those affected by poverty jailing and systemic injustice in the legal system. With almost four decades of experience as a practicing attorney, Wayne Powell knows the barriers that exist for individuals living in poverty, and the impact that a debtors based legal system plays in undermining justice. As an Assistant Attorney General in the Criminal Division in the 1980’s, Wayne worked as an advocate against pre-trial detention that is designed to punish poor and marginalized members of communities in the Commonwealth. “Illegal extortion schemes aren’t being run in the shadows, they’re being run out in the open, as a matter of public policy”. TED is a nonprofit devoted to welcoming highly-trained professionals, educators, authors, researchers, and creative thinkers from every discipline and culture to spread innovative ideas to national and international conferences and lesson series. Powell Law Group in Virginia hopes you have been enjoying our Tuesday TED Talk Series. You can CLICK HERE to see others we have shared. The Powell Law Group is excited to announce that this year, we’ll be sponsoring not one- BUT TWO CLASSROOMS in the Chesterfield County Public School system! With most teachers spending an average of $479 of their own income on supplies for their students and classroom, we began helping a middle school classroom near us. Thank you for all your amazing help! These supplies will be going to Ms. Wyatt's class this week to help her get ready for the first day of school, September 4th. Learn about our second classroom below! In addition to Ms. Wyatt from Robious Middle School, we will be sponsoring Ms. Jordan Liesfeld, a first year Biology teacher at Midlothian High School! Ms. Liesfeld graduated from Randolph-Macon College with a major in biology and a minor in secondary education. The Powell Law Group is excited to be partnering with both of these talented new educators in preparing their students for a successful school year. As a high school teacher, Ms. Liesfeld has different needs for her classroom than what we’ve listed for the middle school classroom we’re sponsoring. She will be helping students understand concepts like the scientific method, cells, photosynthesis, and ecology through hands on lessons and labs! 2. You can bring unused loose-leaf paper, pens, pencils, latex free gloves, highlighters, folders, sharpies, paper towels, index cards, sticky notes, staples, and tape to our office at 14407 Justice Road Midlothian VA 23113 and drop them in our donation box in the lobby. 3. You can also mail or drop off gift cards to the following places: Kroger, Office Max, Walmart, Target, Amazon. Our school supply drive is only the beginning- we’ll be sharing updates from Ms. Liesfield’s classroom and activities throughout the school year, so there will be additional opportunities to donate again. We understand that teachers’ needs and students’ needs change as the year goes on- so we’re here all year! It's not too late to help us give these teachers a great kick-off to their teaching careers. Every supply will help these teachers have a successful year in the Chesterfield County School District! In this talk, Harvard Law Professor Ronald Sullivan talks about his defense of thousands of innocent persons wrongfully convicted. Professor Sullivan has merged legal theory and practice over the course of his career in unique and cutting-edge ways. Professor Sullivan is a leading theorist in the areas of criminal law, criminal procedure, trial practice and techniques, legal ethics, and race theory. He is the faculty director of the Harvard Criminal Justice Institute and the Harvard Trial Advocacy Workshop. As a United States representative of the Union Internationale des Avocats (UIA – International Association of Lawyers), Wayne Powell attended the June conference in New York where the separation of border families was a hot topic. Below is the intro to a joint statement, followed by aligned thoughts from Wayne Powell. Upon the occasion of the Governing Board meeting of the Union Internationale des Avocats (UIA – International Association of Lawyers), convened in New York, NY, USA, on June 30, the undersigned signatories note with grave concern the recently imposed United States policy, as implemented by President Donald J. Trump, ordering the inhumane separation of immigrant children from their parents at the United States borders. While we note that the Executive Order recently issued by President Trump revoked the policy for future child detainees, the Executive Order did not address a plan with respect to the more than 2,300 children who have already been separated in the wake of the implementation of President Trump’s stated “zero tolerance” policy. Click to continue reading the joint statement on the International Association of Lawyer's website. As a member of the UIA, I stand in support of the statement issued urging that all children affected by President Trump’s “zero-tolerance” immigration policy be reunited with parents within 30 days, 14 days if the children are younger than 5 years. We must insist that these authorities help the parents and children establish communication with one another, and make a continued effort to reunite these families. We must put an end to sending young children in court without legal representation and without their legal guardians. I, along with many of my fellow lawyers from the UIA, are here to assist in reuniting these children and their families, and ensuring they have an advocate for them in court, and that they understand their rights. Almost 20 years ago, I represented a Hispanic family whose children had been taken from them by an American family while in their home country handling the legality of their formal immigration to the United States. My clients, a modest, humble, religious couple returned to their home country to visit the American Consulate and retrieve their immigration papers. The couple left their children in the temporary custody of the father's employer. After they obtained their papers and came back to the U.S. "legally" and anxiously awaited their reunion with their children, the American couple simply responded that they would be taking the children permanently and not returning them to the parents. I petitioned the juvenile relations court at that time in a predominantly Caucasian, suburban county to retrieve the children for their parents. I incorrectly assumed that this would be a straightforward process seeing as there was no reason why the birth parents of these children were undeserving of their custody rights, and the law would be on their side. Neither father nor mother had any criminal background, no prior legal troubles, and were involved members of their Protestant church and their community. Much to my shock, when I attended the hearing before the substitute judge, the ruling stated that the children were "better off" with the Caucasian, American couple. The motivation was clear. Without reference to the integrity of the biological parents and without evidence to suggest that they were anything other than loving parents, a family was ripped apart. U.S. citizenship was equated to good character or parenting competency in this case, a superiority complex rooted in prejudice. This process was grueling for my clients both emotionally and financially. They were unable to pay me for my representation after our initial appearance in juvenile and domestic relations court. I was unwilling to leave them without representing in the pursuit of an appeal. During the appeal in the Circuit court, the judge immediately granted custody to the natural parents, my clients. I instructed the American couple to deliver the children to the parents’ house within a half an hour of leaving the courthouse. In my case, justice was done, but it's significant to know that the same racist, intolerant attitude, and superiority expressed by the judge and the Caucasian couple remains strong in our society. These opinions are even articulated among the highest officials in the land. An intolerant justice and immigration system should not be considered a new "normal" by a nation whose foundation is built on immigrants. Crime does not have a skin color, an ethnicity, a language, or a religion. Officials, citizens, migrants alike should be held to the same standard of due process. We’re continuing our posts for TED Talk Tuesday, a series where Wayne Powell from the Powell Law Group in Virginia shares his favorite TED talks about the justice system, crime in America, democracy, the rule of law, and mass incarceration. TED is a nonprofit devoted to welcoming highly-trained professionals, educators, authors, researchers, and creative thinkers from every discipline and culture to spread innovative ideas to national and international conferences and lesson series. In this video, Philip K. Howard talks about how certain professions in America are limited because of complexity of the laws that govern them and the fear of being sued, particularly in areas like business, education, and healthcare. Attorney Philip K. Howard founded the nonpartisan group The Common Good to combat this culture and reform several key areas of our legal system. Wayne Powell understands how similar business, healthcare, and law are, mainly because of how difficult these areas of our society are to navigate. In Powell Law Group's line of work, we're not only tasked with helping our clients navigate the legal system, but in workers compensation and personal injury. We’re also constantly working with physicians, providers, and insurance companies. The healthcare system, the judicial system, the business world are full of defensiveness and therefore can lead to mistrust. “The law is a powerful driver of human behavior”. “For law to be the platform for freedom, people have to trust it." Did you know that most teachers spend an average of $479 of their own income on supplies for their students and classroom? The Powell Law Group is excited to announce that this year, we’ll be sponsoring a classroom in the Chesterfield County Public School system! We will be sponsoring Ms. Madeline Wyatt, a second year Latin teacher at Robious Middle School! Ms. Wyatt graduated from Randolph-Macon College with majors in both Latin and Classics and minors in Secondary Education and Archeology. 2. Drop off unused loose-leaf paper, colored construction paper, dry erase markers and erasers, pens, and pencils to our office at 14407 Justice Road Midlothian VA 23113 and drop them in our donation box in the lobby. 3. Mail or drop off gift cards from the following places: Kroger, Office Max, Walmart, Target, Amazon. Educators dedicate their lives to helping children and young adults grow, learn, and reach their full potential as thinkers and as people. At the Powell Law Group, we want the teachers in our community to know that the time and money they spend giving our students the best education, the best activities, and the best support to help them succeed, matters to us. Setting up a teacher for a year of success is helping set up a child for a lifetime of success. Our school supply drive is only the beginning- we’ll be sharing updates from Ms. Wyatt’s classroom and activities throughout the school year, so there will be additional opportunities to donate again. We understand that teacher and student needs change as the year goes on- so we’re here to help all year!